Its always a joy to see vintage bikes to see where the sport was versus where we are today with the latest generation of incredibly capable bikes. 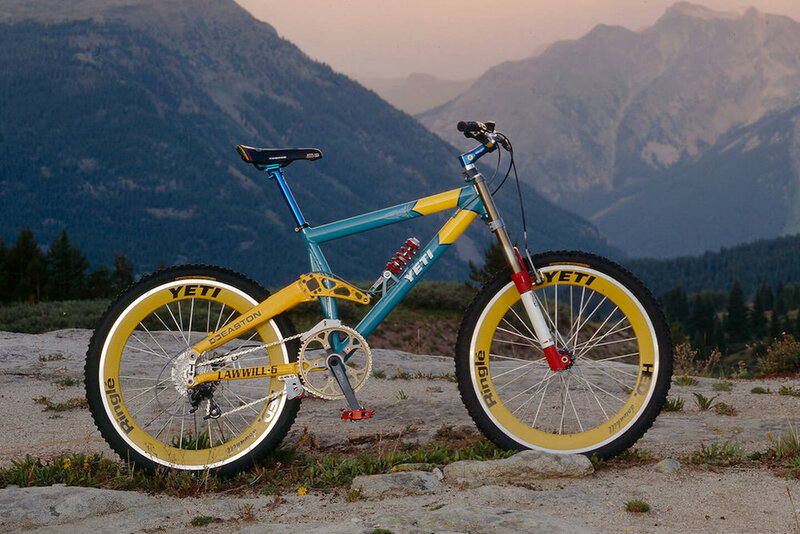 The Yeti Lawwill DH6 was the most advanced downhill bike of the mid 1990's and has quite a story behind its conception and its challenges. From the massive front chain ring to the beautiful Troy Lee pinstripes, the Yeti Lawill DH6 is a work of art. 12/5 Vital MTB Bike of the Day!